I first heard of YogaDownload back on my travels in South-East Asia. At a hostel in some backwater town – where I could barely muster the cell phone data to check a flight – I could see a girl following along to a yoga class on her tablet. Buttery smooth, full-HD video. She couldn't be streaming it via the local WiFi (seemingly powered by potatoes judging by its speed), it certainly wasn't a DVD? Turns it, it was a class from YogaDownload. Online yoga streaming services are a fantastic option for learning yoga from home, but they tend to fall apart the moment WiFi becomes scarce. YogaDownload is one such yoga streaming service, that's found a way to help negate that issue – by letting you download videos for offline play on any of your devices. Thousands of high-quality yoga videos available online and offline, wherever you are in the world. Sounds good to me. With 1500+ online yoga classes in every style you can think of, YogaDownload has enough content to keep you occupied for a lifetime of yoga practices. All shot in high-definition, the videos are sure to be clear and crisp. Finding that perfect class is super easy with the navigation filters. Whether you're looking for a tough Vinyasa class, a relaxing hour of Yin, or a practice aimed at working on a particular body part (hello hamstrings) – there's plenty to work with. 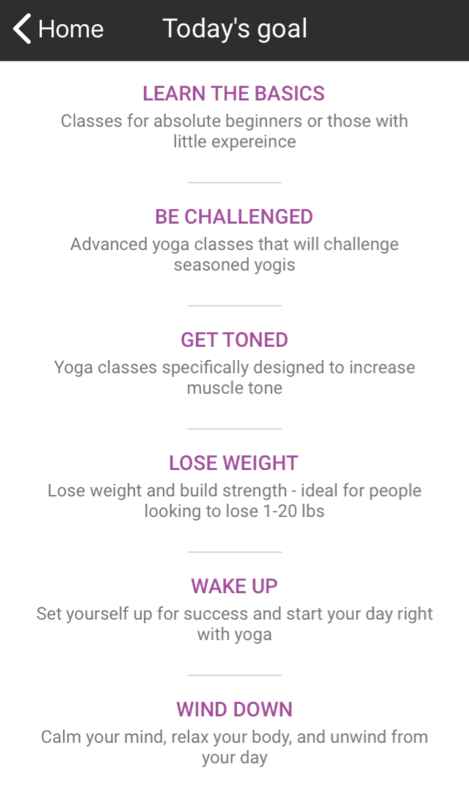 I love YogaDownload's concept of Yoga Programs. Collections of yoga videos, specially curated to help hit your goals. I'm very motivated by a sense of progression and I could see myself primarily using these programs over individual classes. Browsing through the teacher profiles, they don't quite have the star-studded lineup of other online yoga services, but I did see the likes of Ana Forrest in there, who I'm a BIG fan of. She has an entire Forrest yoga program on YogaDownload and I will be doing it! It's nice to see programs aimed specifically at men too. 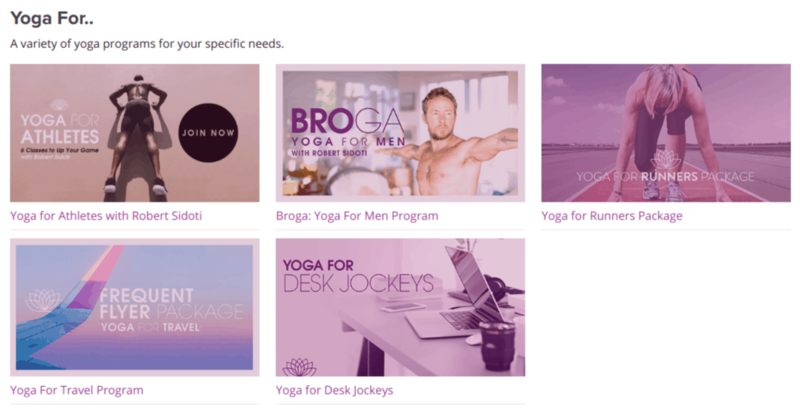 The Broga program in particular is a great introduction for men looking to get started with yoga. Want to try it out? Check out one of their videos below! 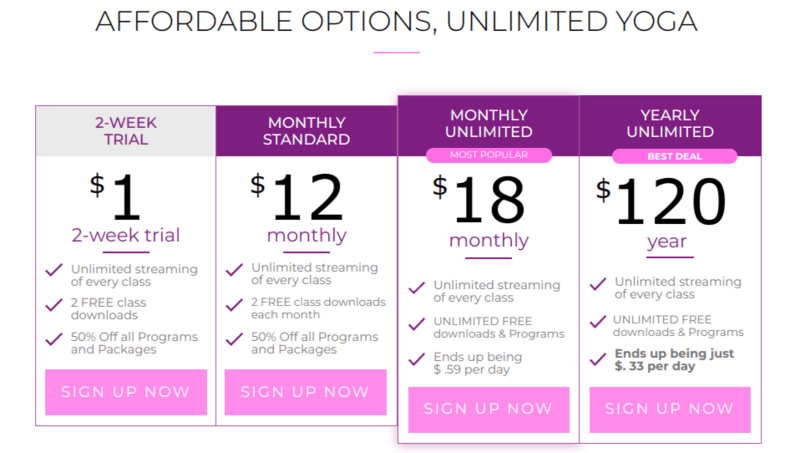 If you're interested in YogaDownload for the download feature, it's absolutely worth paying the little bit extra for the Unlimited plan so you can get unlimited downloads and take full advantage of the service. Of course the Yearly Unlimited deal is by far the best value. Why not give YogaDownload a try with the $1 trial and go from there? I'd describe YogaDownload.com as clean and functional. Arguably a little bit dated in 2019, but it's easy on the eye and super easy to use. In the end, what matters is the quality of the videos, and there's no issues there. You can easily access the site via any browser, though weirdly they recommend Internet Explorer on phones or tablets (like anyone still uses IE?) and Safari on Apple devices. I used Google Chrome on all my devices and had no issues. Plus, you can even stream it through your TV via platforms like Roku and the latest games consoles too. The giant catalogue of yoga music is an often overlooked feature. Whether you need some Savasana inspiration or a wicked beat to teach your Vinyasa classes to, you'll find something to fit. I like the variety of general playlists on offer, it's always nice to get a fresh take on an old practice. Being able to access and play YogaDownload's videos on modern devices is so important to their core proposition, and their new app experience delivers in spades. It's everything you want from a clean and responsible mobile experience. You can access and save all your favourite classes just like you can on the website, or you can dive right in to a new class inline with with "Today's goal". YogaDownload has a lot to offer, whatever kind of yogi you might be. It's a great starting point for beginners, with a wealth of beginner classes, pose guides and more. Plus, there's enough content and variety to keep more experienced yogis interested. That being said, if you're looking for yoga content from superstar yogis, you won't find it here. It's a very humble, authentic selection of teachers and classes. The download feature is their pièce de résistance, and though it's not particularly exciting, it is potentially very important. If you travel a lot (especially to underdeveloped areas) it's going to be the difference between being able to practice via online classes or not. Simple as that really. Now that they have the app up and running, I'd have no problem recommending YogaDownload. Try it yourself for just $1.